Injured in a motor vehicle accident? LSB will attend to accessing all the benefits you are entitled to claim by expertly completing your Application for Accident Benefits (OCF-1) which you may entitled to receive. In the event your injuries and impairments render you disabled from work, LSB will access your entitlement to claim the Canada Pension Plan Disability Benefits by filing your Application for CPP benefits together with medical evidence in support of your claim. If your claim is denied, LSB will represent you at the Tribunal Hearing. 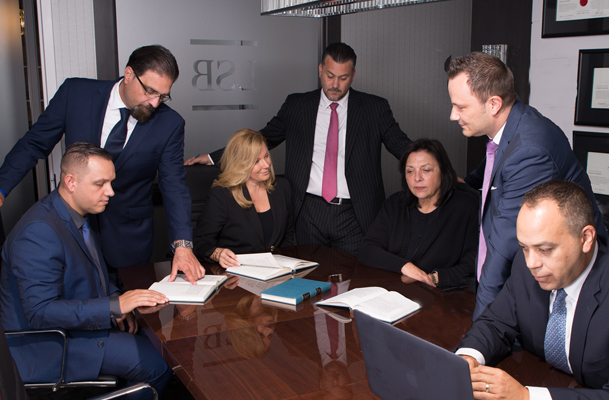 At Lofranco Scarola Blasi (LSB), we are experienced licensed paralegals that represent people injured in motor vehicle accidents. If you are injured in an accident, our expert legal team will access all the Insurance Benefits you require. All victims who sustain injuries and impairments as a result of a motor vehicle collision are entitled to claim Statutory Accident Benefits (SABS). The SABS set out the various benefits you are entitled to receive as a result of your ongoing injuries. You are entitled to access all the benefits regardless of whether you are at fault or not. At LSB, we strive to provide our clients with experienced expert representation in an effort to access the benefits required to restore your health and quality of life enjoyed prior to the accident. All Paralegals are licensed as required by the Law Society of Upper Canada. Member of Ontario Paralegal Association.